It’s no secret that one of my favorite restaurants in Orange County is Andrea at Pelican Hill Resort in Newport Coast. 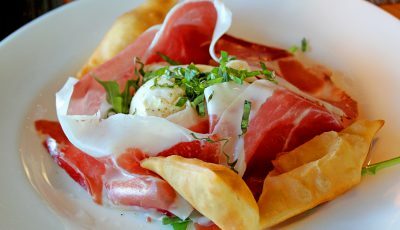 Dining at Andrea is like taking a trip to Italy for an afternoon or evening. The setting is exquisite, starting with the entrance to the resort and continuing to the restaurant with a lovely interior and a comfortable and classy patio (my preferred dining spot) with endless views of the resort grounds and the ocean beyond. And then there’s the sensational North Italian cuisine. From the pasta made in-house to the risotto with black truffles to the seafood and steaks, it’s a food-lovers paradise. Hard to imagine Andrea can get much better, but last week I was invited to a media luncheon to meet the new chef for Andrea Restaurant, Chris Simons. Chef Simons is not new to the resort—he has been the Sous Chef at Andrea since 2017, and has now taken the helm of Andrea’s kitchen. As Chef Simons prepared our three-course lunch and talked about his career, and cuisine, it was clear to see this is a chef who is not only personable and knowledgeable, but a perfect fit for the resort. 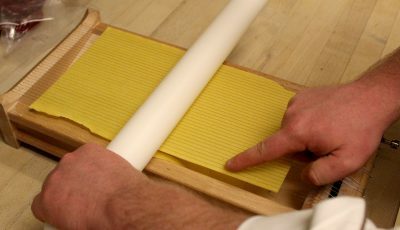 Young yet sophisticated with a passion for learning and for teaching, Chef Simons began assisting his mother in the kitchen when he was 9, making Italian savories, pastries and candy for his Italian family’s holiday celebrations. 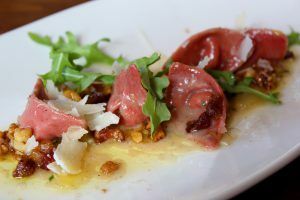 By age 15, a serendipitous apprenticeship at Antonello Ristorante under the tutelage of Chef Franco Barone (who went on to open his own restaurant, Il Barone in Newport Beach) affirmed his aspirations toward a culinary career. Simons attended and graduated from the Culinary Institute of America in Hyde Park, New York. 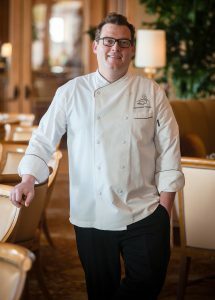 He took chef roles with restaurants in Seattle, Washington, and New York before joining the Andrea team at Pelican Hill. 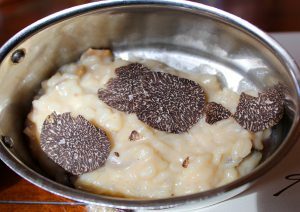 Our first course was an Andrea classic, and one that I order every time I dine at Andrea: acquarello risotto with porcini and black truffles. The risotto is dumped inside a hollowed parmesan wheel, with the parmesan scraped into the risotto and then scooped into ramekins. 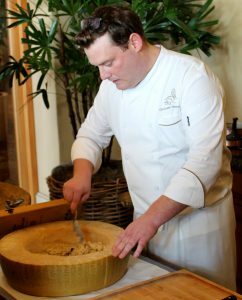 A fun fact revealed by Chef Simons: the resort goes through two entire parmesan wheels per week at Andrea—which means I’m not the only diner in love with this dish. Our next course was torteletti afumicato with walnut passata, ricotta salata and hand-cured pancetta. “I like heavily toasted walnuts, and garlic. I like to finish this dish with lemon zest,” said Chef Simons. The pasta was perfect, and the walnuts gave the dish added texture. The sauce was divine. 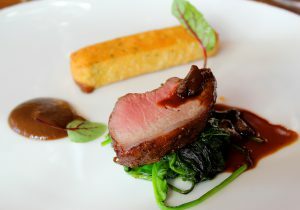 Last course was carved saddle of lamb with lamb jus, served tableside. Again, perfectly prepared, simple yet full of flavor. With his upbeat personality and impressive knowledge of ingredients and techniques, Chef Simons is a wonderful addition to Andrea Restaurant. Menu Espresso every Friday through Sunday from noon to 2:30 p.m. offers a three course express lunch served I 45 minutes or less for only $39. Throughout the month of February, Andrea is celebrating truffle month with black truffle menus at lunch and dinner. 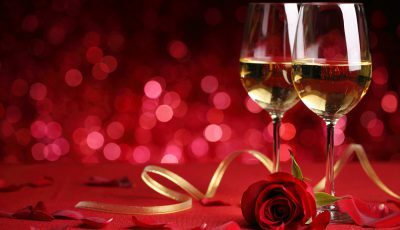 And finally, February 14 – 17, Andrea presents a special Italian lovers’ menu, offering four courses with “his and hers” choices on February 14. From February 15 to 17, a la carte specials will be available. 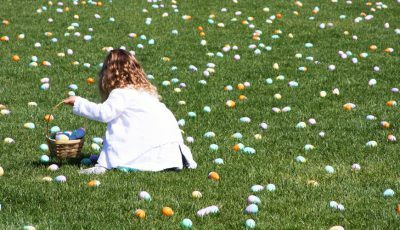 Please call (877) 563-5102 for reservations, or visit PelicanHill.com.